It’s not just Xiaomi and Oculus making VR news at CES. 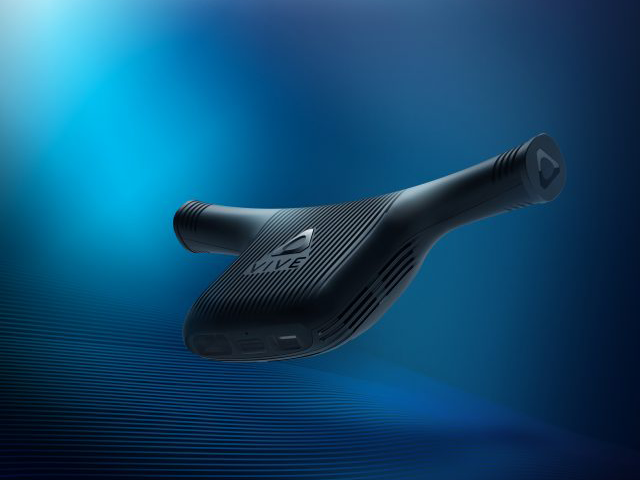 Just as expected, HTC Vive, the company’s VR division, has now unveiled the brand new Vive Pro and Wireless VIVE Adaptor at CES 2018. It’s not just about hardware for HTC Vive this year, as it’s also improving how users discover and acquire VR content by redesigning the Viveport VR and Vive Video. Vive Pro is a refreshed head-mounted display (HMD) with dual-OLED displays for a higher resolution of 2880 x 1600 combined, a 78% increase in resolution over the current gen headset, just as we had predicted from Vive’s teaser tweet. HTC Vive claims the integrated headphones have a built-in amplifier that offers a “heightened sense of presence and an overall richer sound”. The headstrap has also been redesigned and now includes a sizing dial for a more balanced fit, and reduced weight on the front to prevent that feeling of the headset dropping down. The dual microphones now have active noise cancellation, and dual front-facing cameras can be used by developers to add features to apps and games. HTC will announce Vive Pro availability and price in the coming weeks. 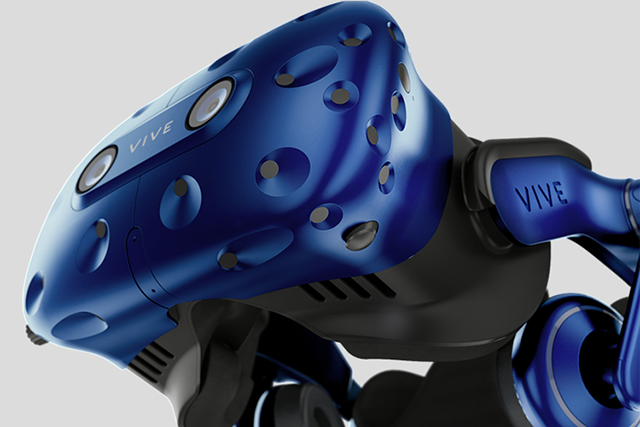 Alongside the HMD, a Vive Wireless Adaptor was also introduced at CES, which the company claims is first truly wireless VR headset integration in the market for both the existing Vive and Vive Pro. Using Intel’s WiGig technology in the interference-free 60Ghz band, it reportedly lowers latency and improves responsiveness. The Vive Wireless Adaptor will ship in Q3 2018 in HTC Vive markets worldwide. To improve discovery and experience of video content on the VR platform, HTC Creative Labs has updated the native VR video player, Vive Video. In addition to a supposedly expanded library of content, new features and UI upgrades, Vive Video comes with integration for Vimeo, the world’s largest ad-free video platform. Select Vimeo videos will be shown in the new Vive Video experience, and optimized for a native VR experience in compatible headsets. Lastly, the company has improved the way users can discover, experience and acquire VR content through Viveport, the storefront for the HTC Vive. Viveport is bringing “VR Previews” which presents interactive and accurate glimpses of the content instead of the erstwhile 2D interface. Viveport also features the world’s first VR subscription service with more than 1,000 titles available on Viveport today, and more than 325 available through subscription. HTC’s changes to the Vive platform will surely grab the limelight this year, as the Vive was already one of the best-reviewed HMD headsets in the world. It’s only going to get better as the ecosystem develops, and with its improvements to Vive Video and Viveport, HTC is taking the initiative to set the ball rolling on that front.